Infrared technology or thermal Imaging detects gas leaks, moisture leaks, steam leaks, high temperature hot water leaks, radiant heat leaks, roof leaks also mold and the structural integrity of the building which can help with the construction progress to ensure safety. Thermal imaging can also provide cost savings to hotels, private homes and office buildings, since it shows where heat is being lost through roofs, doors, windows, and walls. You can’t detect every minor issue, but the infrared cameras can help to minimize problems that could arise in the future preventing disasters. 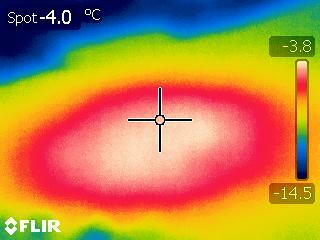 What are the benefits of Infrared Technology in Construction? Infrared services can detect problems that the human error and eye can miss causing bigger issues later. When the infrared cameras detect a potential problem area, it can be corrected instead of having the problem persist causing bigger issues down the road. Infrared Technology is good to have while in a new construction phases, during construction and after to make sure you have no leaks or heat loss. It can prevent disasters in the future and from becoming a costly repair. 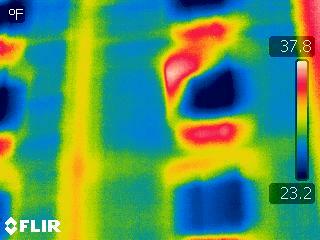 Inspections for infrared thermography will surprise you. Why? The inspections will help identify problems that may be systemic rather than a one time issue. You won’t be able to tell the difference unless you do multiple inspections consistently and thats ACS Underground Solutions can help you with its our specialty. After these inspections are completed, you can more easily re-evaluate your procedures, protocols and target the issue more directly. Preventing breakdowns and keeping the project moving in a positive direction is important and will keep you business moving in the right direction, save you time and save you dollars going forward. At Acs Underground Solutions we believe hiring a professional to do infrared testing for your construction project and leak detection issues is a positive move and will give the options you need. We have found that our clients who use this technology are surprised at the results and are impressed with the results because it gives them the knowledge to identify issues before they become problematic and costly. ACS Underground Solutions has been In business since 1997, we have located leaks and other underground utility issues with thermal imaging infrared technology for hundreds of commercial and residential customers. Our experience enables us to provide the most qualified professionals available in the industry. Give ACS Underground Solutions a call at 203-544-7190 to find out more about our thermal imaging services. Our office staff is available Monday-Friday, 8am to 5pm to answer your questions and schedule an appointment. We are a private family owned consulting company with decades of experience and deep expertise in Water Line Leak Detection, Underground Utility Locating with GPR, Underground Storage Tank Locating, Concrete Imaging & Scanning, Drain Pipe Inspections and Infrared Thermal Imaging Services. 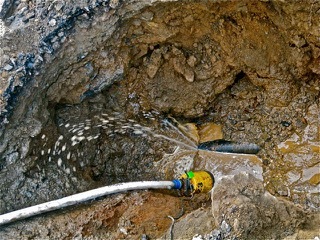 ACS Underground Solutions serve Connecticut, New York, New Jersey, Massachusetts, and Rhode Island. Who is ACS Underground Solutions? ACS is a underground utility locating service company located in Fairfield County CT. President, Ian Beaver, arrived in America from Manchester, England in 1992 founding one of the country’s first underground utility locating companies in the tri-state area. Ian, along with partner Kathleen O’Dea Beaver, has led ACS to a successful and reputable underground utility locating company servicing many of the country’s top 25 engineering firms, state and federal agencies, universities, municipalities and private property owners with underground utility issues. ACS provides top notch services and is available 24/7! ACS listens to their clients needs. They review client photographs, and site plans to become as familiar as possible with the new project. Doing so makes the job site work more efficient, which saves you time, and reduces the time and expense of the ACS field technician’s visit. What services does ACS offer? Known for exceeding our clients’ expectations, ACS Underground Solutions works cohesively. Our field technicians are specialist in their and come together successfully to give our clients the results they need. ACS Underground Solutions is private family owned consulting company with decades of experience andexpertise in Water Line Leak Detection, Underground Utility Locating with GPR, Underground Storage Tank Locating, Concrete Imaging & Scanning, Drain Pipe Inspections and Infrared Thermal Imaging Services. Additionally we can locate Underground Storage Tanks, perform Concrete Imaging & Scanning with Ground Penetrating Radar, Video Pipe Inspections of Drain Lines and Sewer Lines and Thermal Imaging Services. 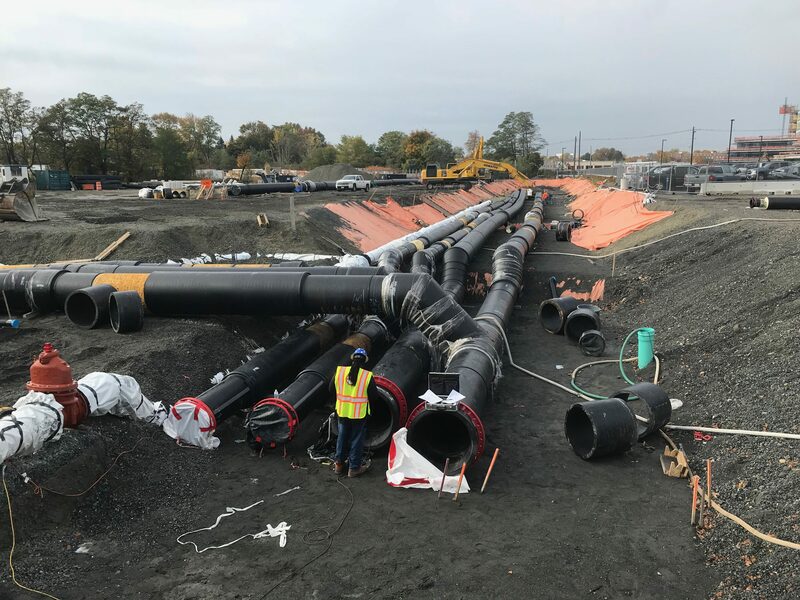 ACS Underground Solutions serves Connecticut, New York, New Jersey, Massachusetts, and Rhode Island. CALL US TODAY FOR YOUR NEXT UNDERGROUND SURVEY IN CONNECTICUT (CT) AT 203-544-7190. Breaking ground is part of construction sites everywhere! If you don’t know what is buried under the subsurface prior to excavation you could be setting yourself up for some serious damage that can be both expensive and dangerous. Before you dig educate yourself on the techniques that can be used to find underground utilities, buried pipes and cables to reduce these risks cost-effectively. If you are unsure where to get this information it would be best to call a underground utility locating company like ACS Underground Solutions to help you take the right steps before digging to prevent damage and lots of unnecessary dollars that can be spent by hitting buried utilities, cables or pipes. At ACS Underground Solutions we give you peace of mind to avoid hitting cables and pipes before you dig. We scan and mark-out the area with our experienced technicians using state-of-the-art equipment and multi technologies. We use this equipment in conjunction with site plans to verify our utility markout by scanning for buried cables and pipes. 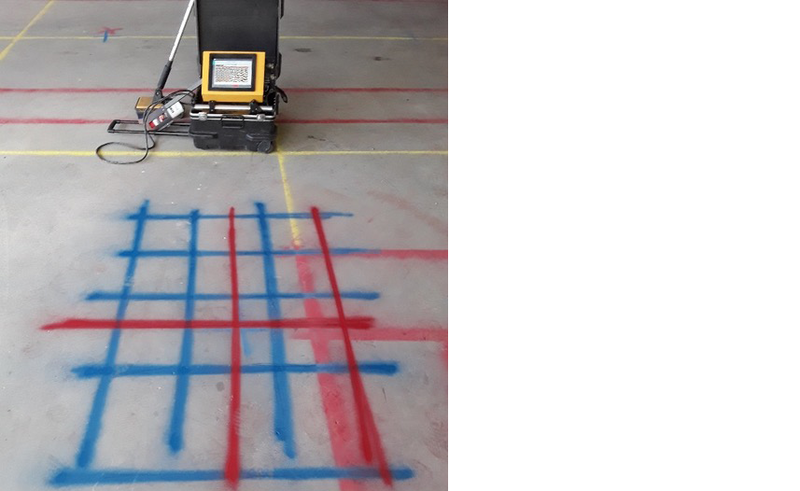 We use Frequency Locators, Radio Frequency Pipe and Cable (RF) locators, Electromagnetic (EM) Profiling Locators, Ground Penetrating Radar (GPR) Manhole Locators and Magnetometers. Sometimes job site plans are inaccurate or outdated so it’s imperative to clear the utilities properly in those areas and make sure that they are marked out correctly. ACS Underground Solutions we can perform your underground survey, and tone out all of your private utilities efficiently. We use a variety of locating techniques, depending on the situation, to identify and mark out where underground utilities are physically located. Once we identify the utilities, their location may be marked with spray paint or flags that are color coded for each utility. Smart digging avoids underground utilities and that means calling ACS Underground Solutions before each dig to prevent any damage to utilize and structures. Our services eliminate costly engineering mistakes and utility repairs along with time delays. 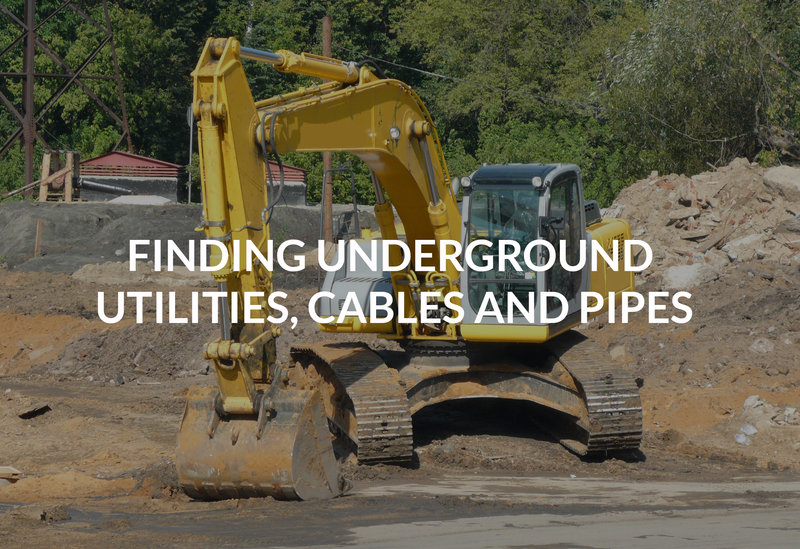 Take the guess work out of your job today and gain confidence by using ACS Underground utility locating services to help your dig go smoothly and safely.